Sometimes things come together so perfectly it seems that they were just meant to be. 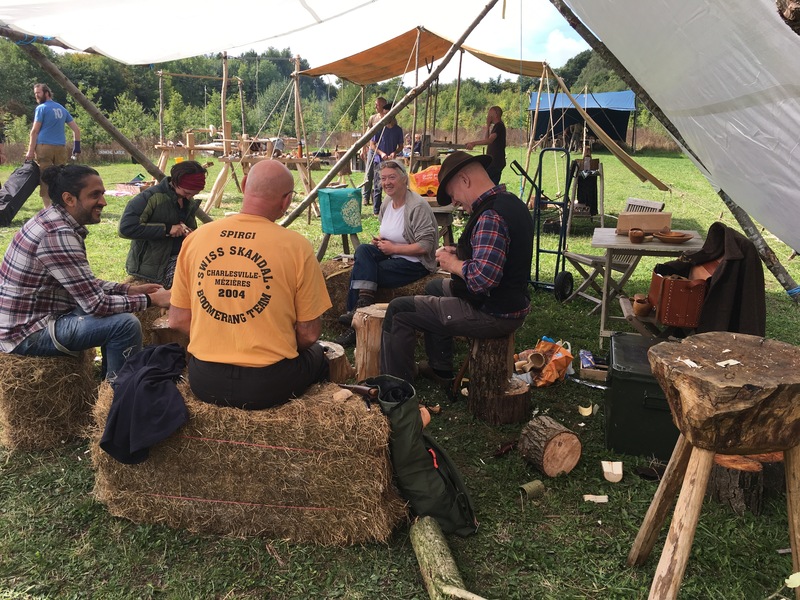 Having dreamed about this event on and off for a few years, last year it finally got off the ground with an initial taster gathering when my friend David Kuegler kindly offered to host and organise The Bowl Gathering 2017 at his meadow in Herefordshire. You can read more about that event and my reasons for wanting to manifest it here. It was clear that the next time should be bigger and more inclusive so there was a question about who the next host would be and where it would be held. 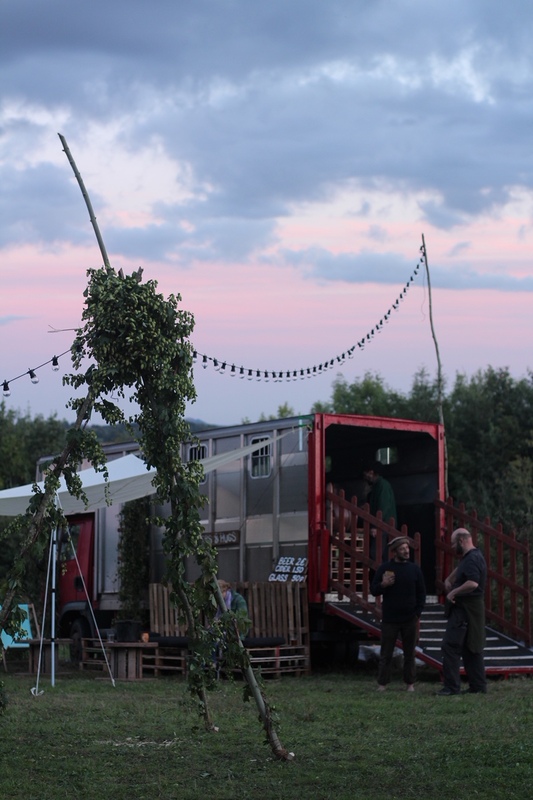 The answer came in the form of Will St Clair and his partner, Penny, who run a glamping and green woodwork business from Brookhouse Woods in Herefordshire, not far from where the original event took place. 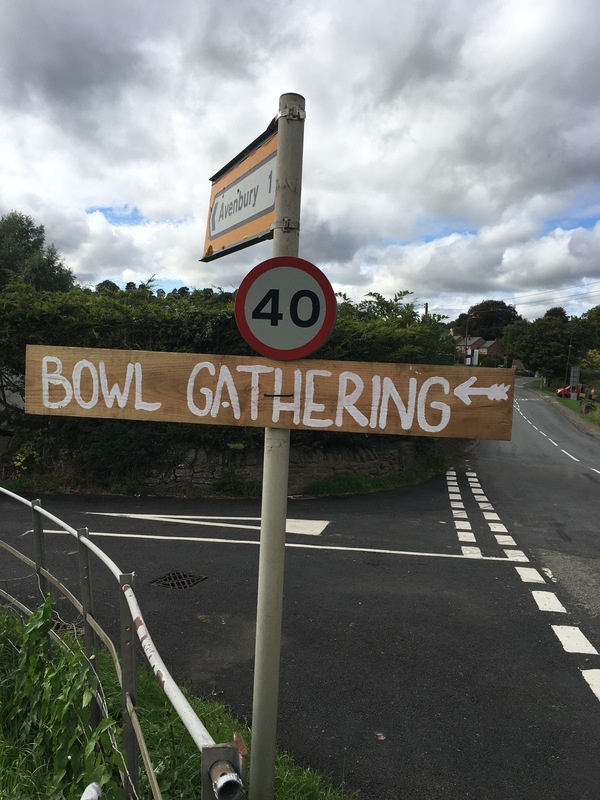 When Will offered to host and take on the organisation of the next Bowl Gathering I knew that the event was in good hands. 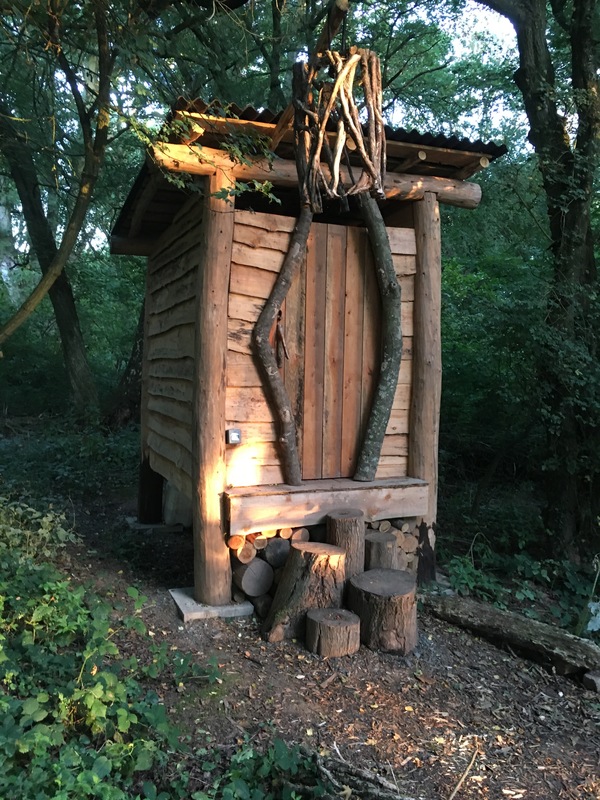 Brookhouse Woods is perfectly set-up for this kind of event with lots of options for accommodation, from simple tents in the meadow, to beautiful timer-framed hobbit houses in the woods, pods up in the trees and luxury cabins so beautiful they make you want to cry. All within a stunningly beautiful woodland in the heart of rural Herefordshire. 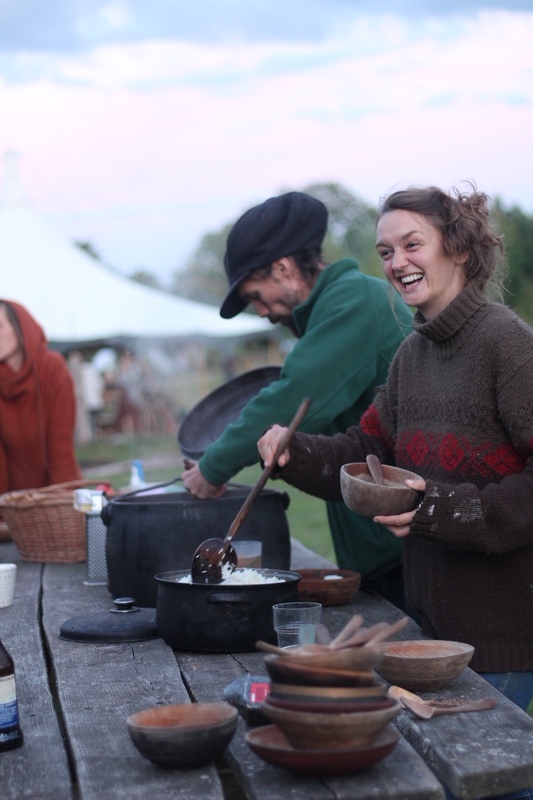 There is also a very well designed woodland workshop and field kitchen, compost toilets and delightful hot showers. It’s a good central location so makes perfect sense geographically. And Will is second to none when it comes to organisation and planning. I was over the moon that he had offered to take it on. 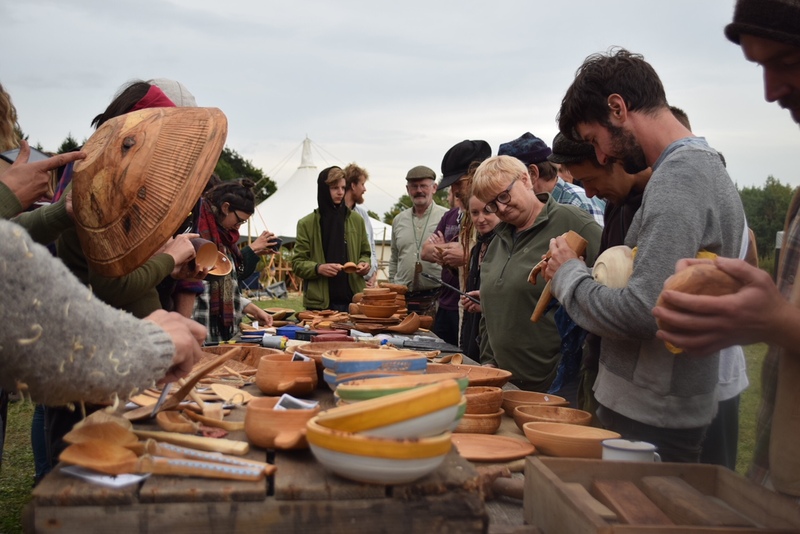 The pre-fest courses took place on Wednesday and Thursday; mostly various aspects of pole lathe bowl turning but also including some bowl and Kuksa carving. 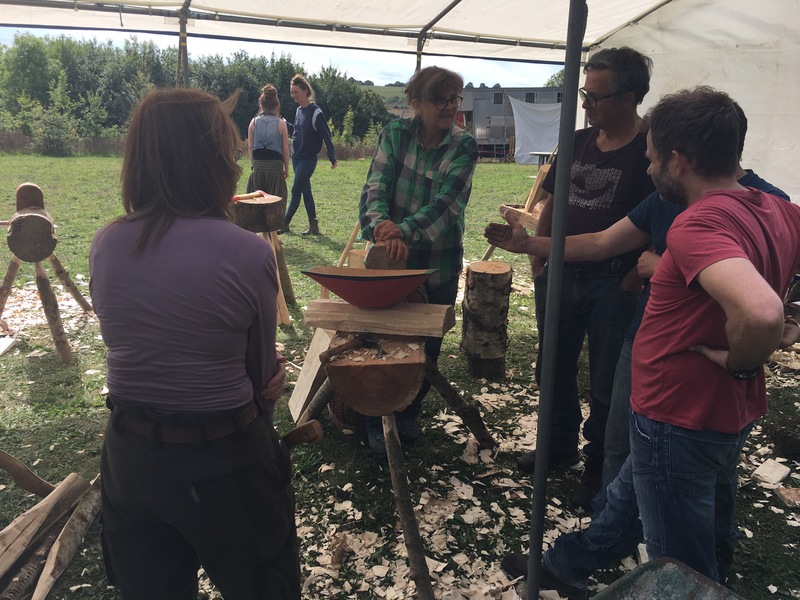 Two of the course tutors had travelled from overseas; Beth Moen, pictured in the green and white shirt below, who is head of woodwork at Swedens craft school Saterglanten, is well known for her beautiful spoons and carved bowls. 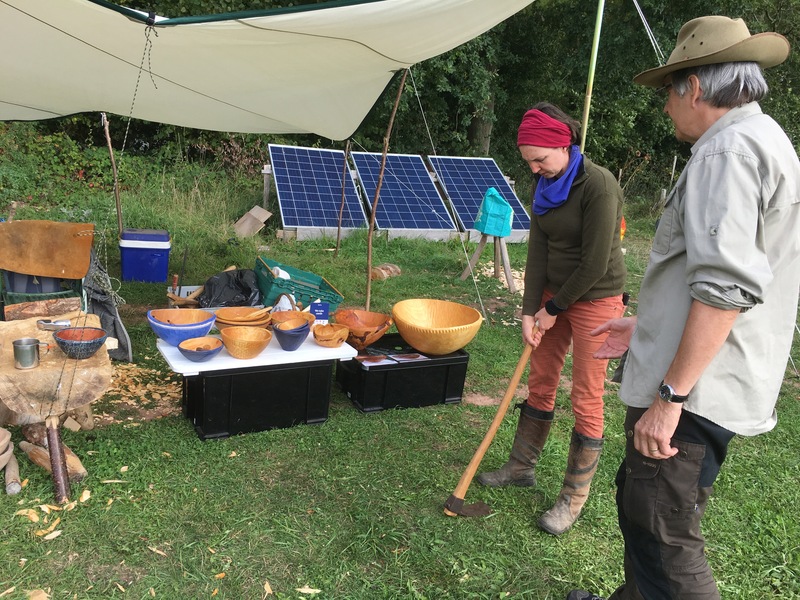 She taught a two day course in carved dough bowls, using axes, adzes and travishers. 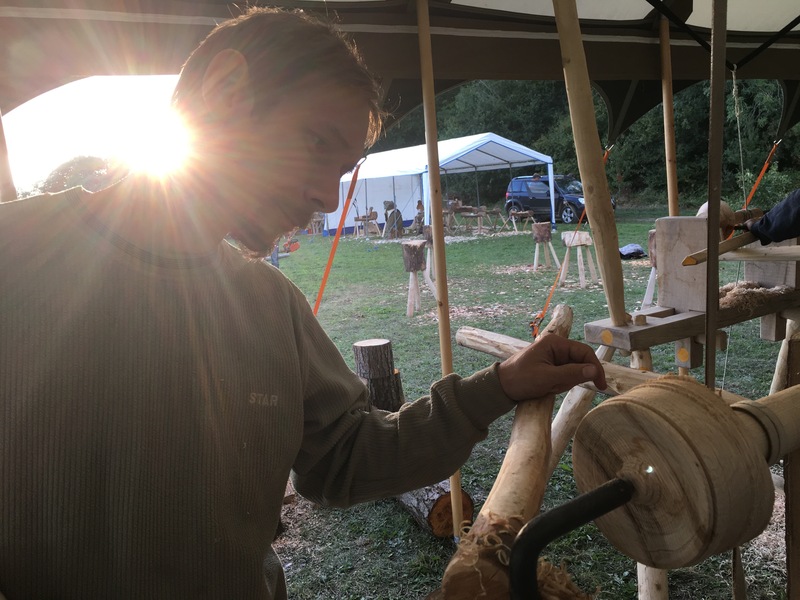 Jan Harm Ter Brugge who is a design teacher in Belgium and a very talented carver of spoons, scoops and kuksas taught a two day course in kuksa carving using axes, adzes and gouges. The picture below was taken during his course; he’s the one with the hat. Other pre-fest instructors included Matty Whittaker, Yoav Elkayam, Owen Thomas, Adrian Lloyd and myself, and courses on offer covered hook tool forging (Matty) beginners bowl turning basics (me and Adrian) and more advanced subjects like nests of bowls (Yoav), flasks (Owen), and locking lidded boxes (me). 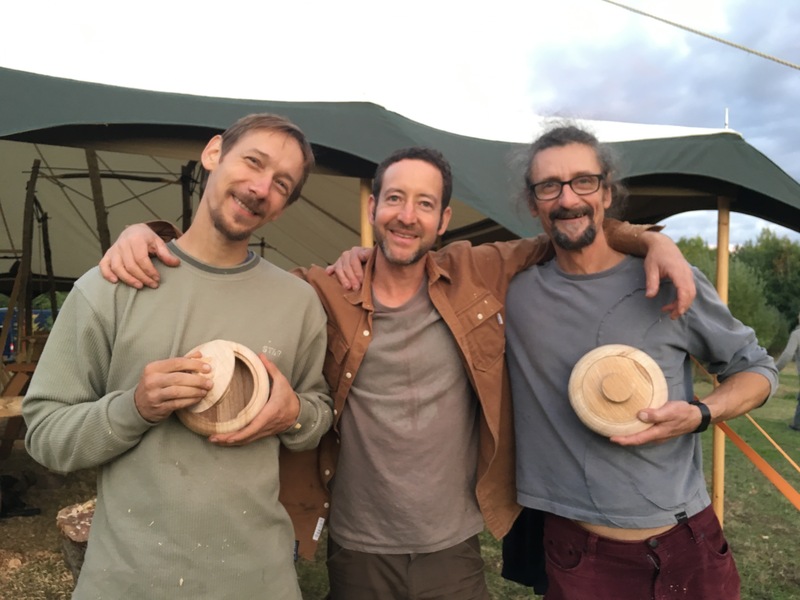 Below are some photos from my locking lidded box course – me watching as Karel starts to work on his turned box, then Karel (top) and Julian (below) working on their lids, and a posed picture of the three of us at the end of the day. The boxes they made were very good, with nice forms and lids which fitted really well; not an easy feat as some of the techniques are quite challenging. The beginners course I taught went well too with four lovely bowls made on the day, But what’s really exciting and much more relevant here is that over the weekend everyone pictured below went on to turn their second bowl almost entirely unassisted – and the bowls they made were seriously good ‘first solo’ bowls. I always try to encourage people who come on one of my beginner bowl turning days to get straight on to a lathe as soon as they get home, ideally the next day, and put what they’ve learned in to practice while it’s all still fresh in their minds. That’s exactly what happened here – with really good results all round. From left to right; Cam, Billy, Geoff and Spencer, with me stood back in the middle and looking like a little elf compared to the tall lads either side! Friday afternoon, all day Saturday and Sunday morning we held 3 hour workshop sessions. 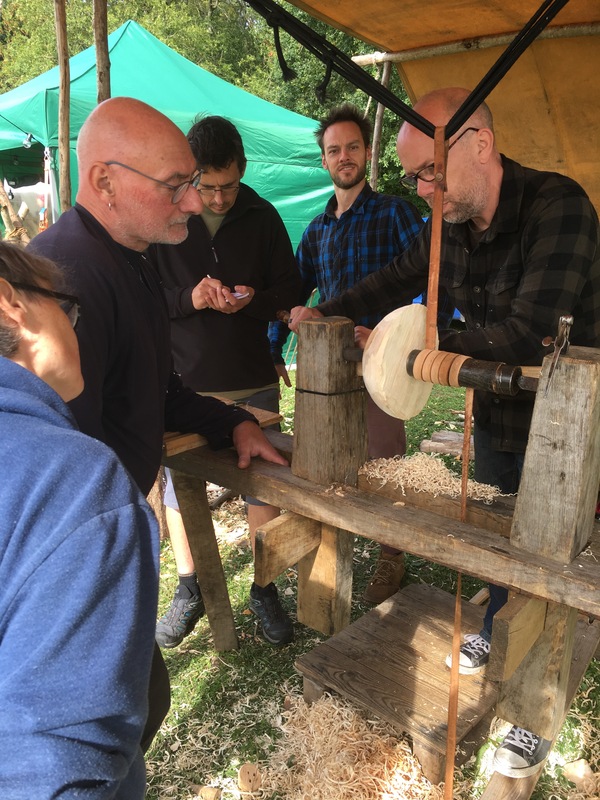 These took the form of either ‘Bowl Doctor’ sessions, with one instructor manning a number of lathes and offering advice as and when it was needed, or more structured sessions where one instructor had a small group (usually 4) around one lathe. The latter sessions were a revelation as everyone got to have a go at all stages of the process while the instructor kept things moving at a brisk enough pace to finish whatever the project was in the three hours. 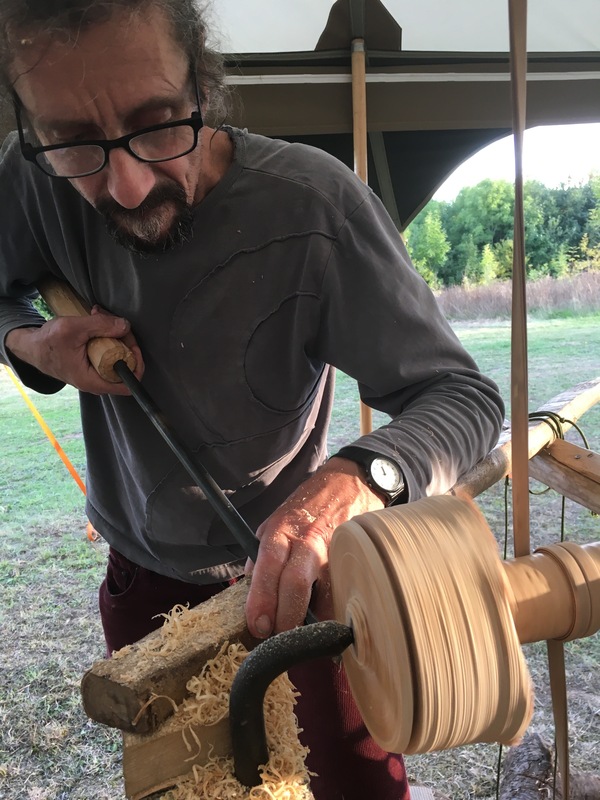 This teaching model is really good for bowl turning at an event like this as it means a lot of learning can be condensed in to much shorter periods of time than would usually be possible if everyone was on a lathe of their own. 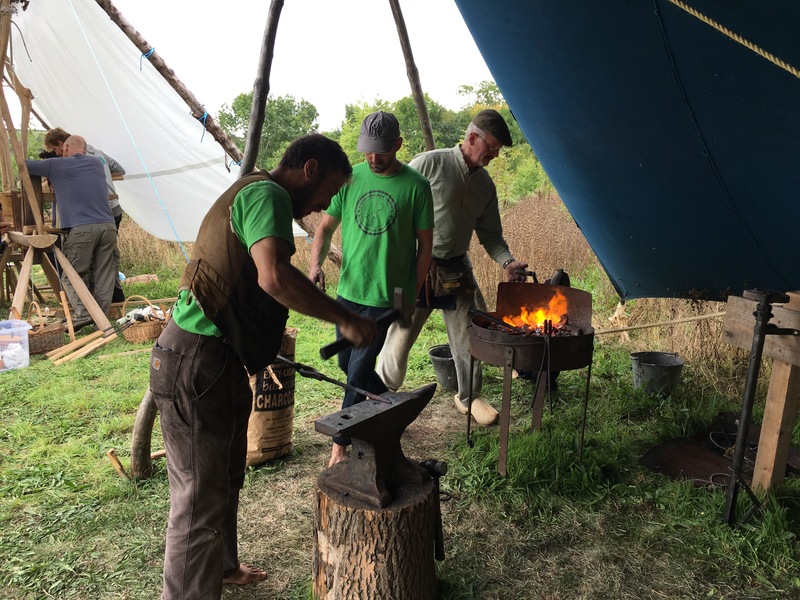 Above; pop up shop and gallery, and Matt forging hook tools with Richard Dunn and Gavin Phillips. 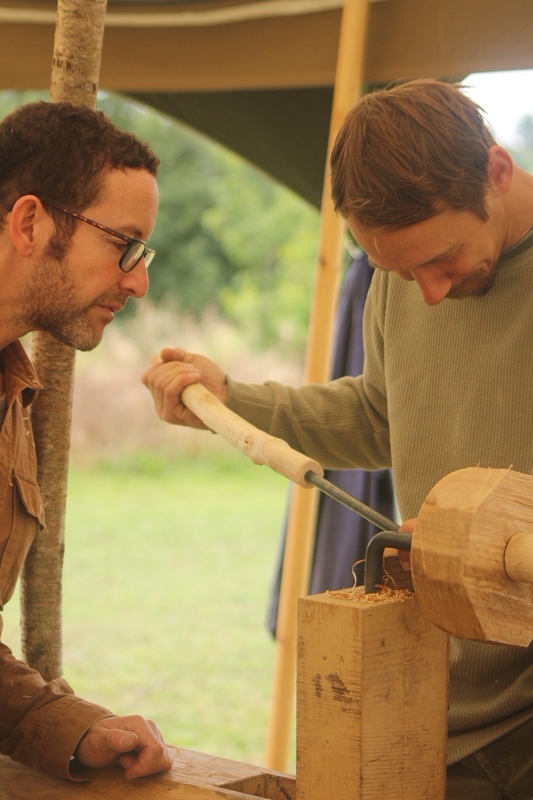 Below; Alastair Dargue discusses the correct way to use an Adze with Anna Casserly. By Friday there were more instructors available, including Gary Baker from France, Nadine Grundy, Doug Don, James Pumfrey (pictured teaching a three hour session below) and Amy Leake. Workshops over the weekend covered everything from bowl turning basics and hook tool skills to milk paint and other finishes as well as porringers, plates and end grain cups. There were a variety of demos as well. It was extreemely exciting to have such a wealth of sharing and learning taking place over just a few short days. 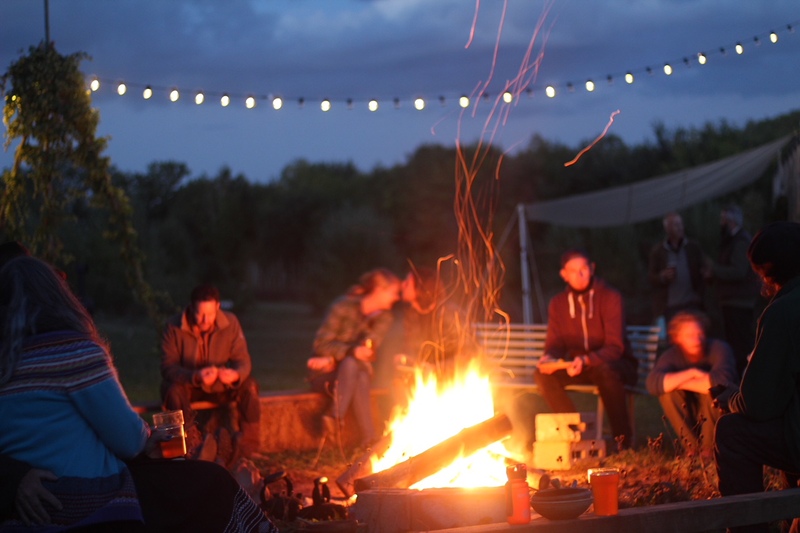 The evenings were spent all gathered around a big fire, while songs were sung and music was played amidst much laughter, lighthearted banter and good old fashioned fun. It felt like a long forgotten tribe had at last been re-united, and what better way to celebrate than to sit together around the fire? The September night air was sweetly perfumed with wood-smoke while songs and laughter mingled with the crackling fire as we enjoyed the good company of friends old and new. There is something wonderful about all of this which is not easy to speak of coherently. The ‘movement’ which includes all the various green-wood working crafts continues to build momentum, aided no doubt by social media, but driven by a very deep yearning which seems to dwell within the hearts of many of us today. When people come together in one place, the old fashioned way, face to face, without screens or electricity, drawn by a shared passion for a craft which develops inner qualities such as perseverance, humility, patience and commitment and which celebrates and encourages gentleness and quiet things; simplicity, connection, beauty and truth….well, that’s when something truly wonderful happens. It is something which I believe to be very important. Possibly the most important thing of all. With heartfelt thanks to Will and Penny, and ALL the residents of Brookhouse Woods (not just the human ones! 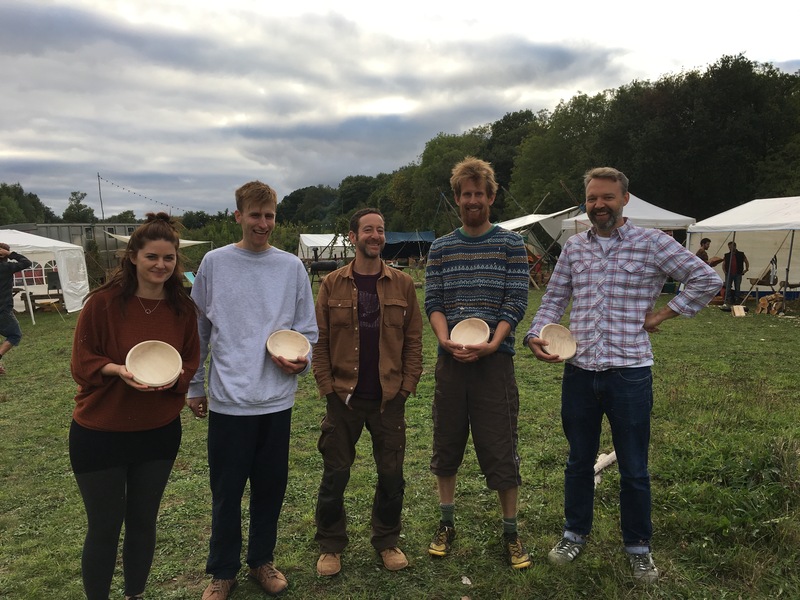 ), all the wonderful volunteers, the course instructors and all the passionate bowl turners and carvers; past, present and future. 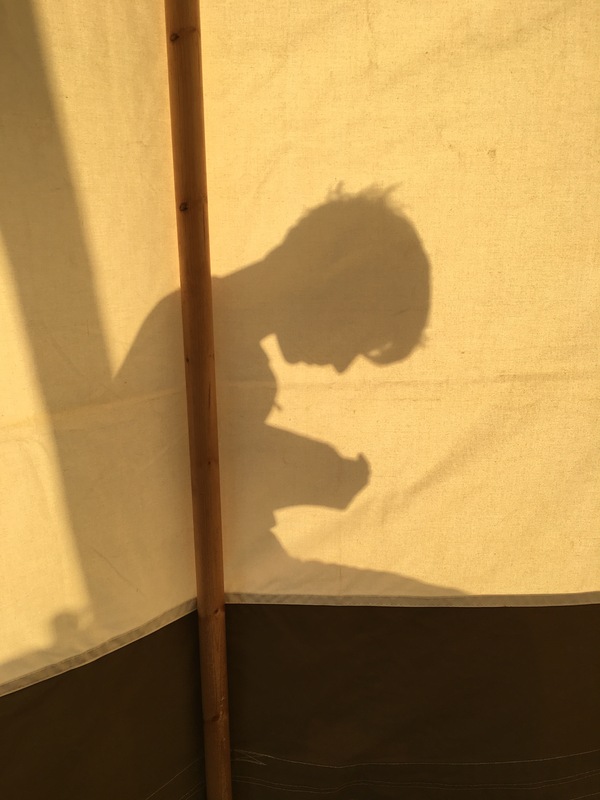 And a special thankyou to Morgan Raleigh Campbell (Wild.Roe) for kindly letting me use some of her beautiful photos here. Just assume that the good ones are hers, and the others are mine!